OC Mom Activities: $1 Blended Coffees at Coffee Bean and Tea Leaf TODAY! 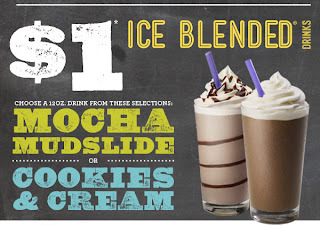 $1 Blended Coffees at Coffee Bean and Tea Leaf TODAY! I don't deny it - I'm a HUGE coffee fan. 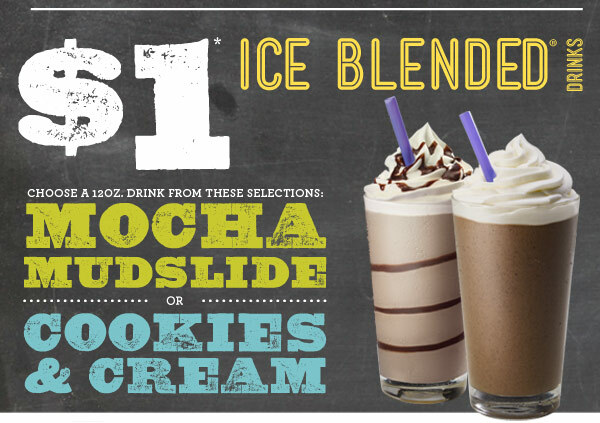 If you're at Coffee Bean and Tea Leaf fan, you'll want to head down today from 2-6 pm for a $1 blended Mocha Mudslide or Cookies & Cream (12 ounce). For more information you can head to their Facebook page here or just head down to your local store!